When it comes to my make-up miracles, Clinique already has two in the bag (their Cream Eyeliner and their Anti-Blemish Solutions Cleansing Foam). 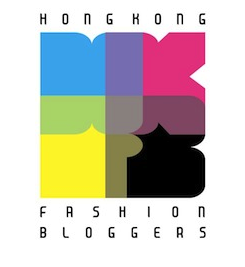 Last year, their Chubby Stick lippies joined the hall of fame – and now they’ve unleashed a series of fantastic brand new shades (and they really are fantastic), my love has only lifted higher and hiiiigher! Although I love Clinique (I know I sound like a broken record but: stringently allergy tested, 100% fragrance-free, dermatologist and ophthalmologist tested i.e. 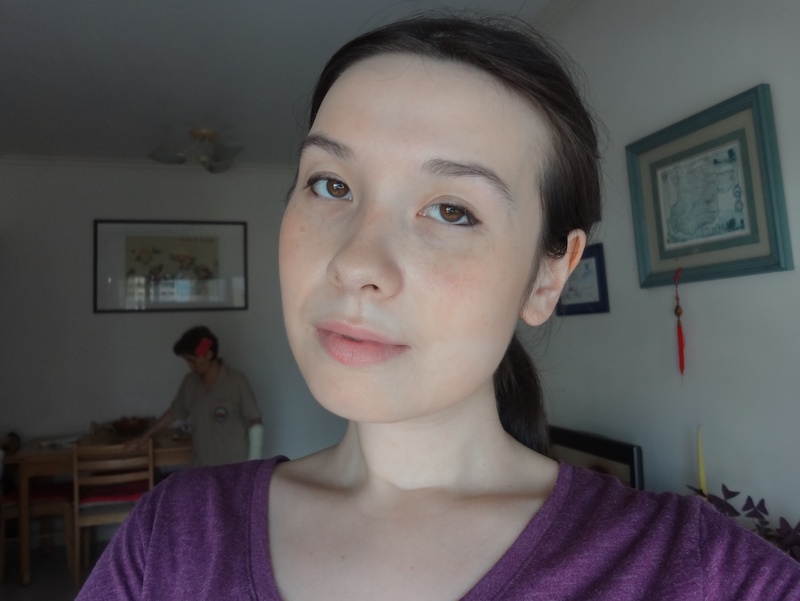 a GODSEND sensitive skin), their make-up can be a little… whisper it… boring. Work-safe colours, neutral shades, workmanlike branding – their cosmetics very rarely got the pulse racing, even if they worked wonders. 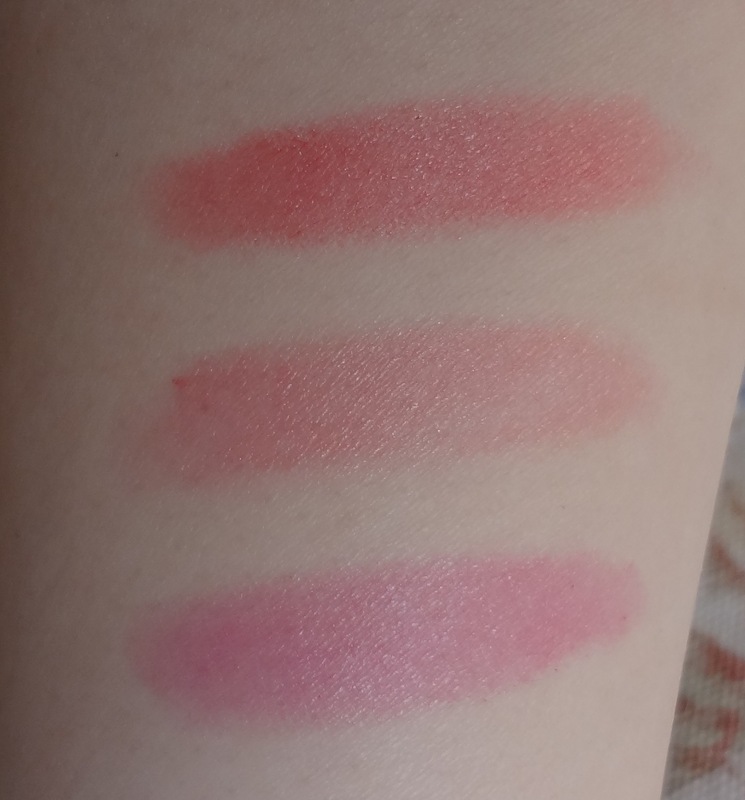 The first round of Chubby Sticks in Hong Kong were lovely, pretty, perfect everyday colours – but this latest set of shades really pack a gorgeous punch. Even the names – Two Ton Tomato, Mighty Mimosa, Pudgy Peony – have me sort of salivating. You just know they’re going to be as fun, colourful and cute as the name “Chubby Stick” deserves. But first, back to the Chubby Sticks themselves. They’re basically lip balms with added awesome. 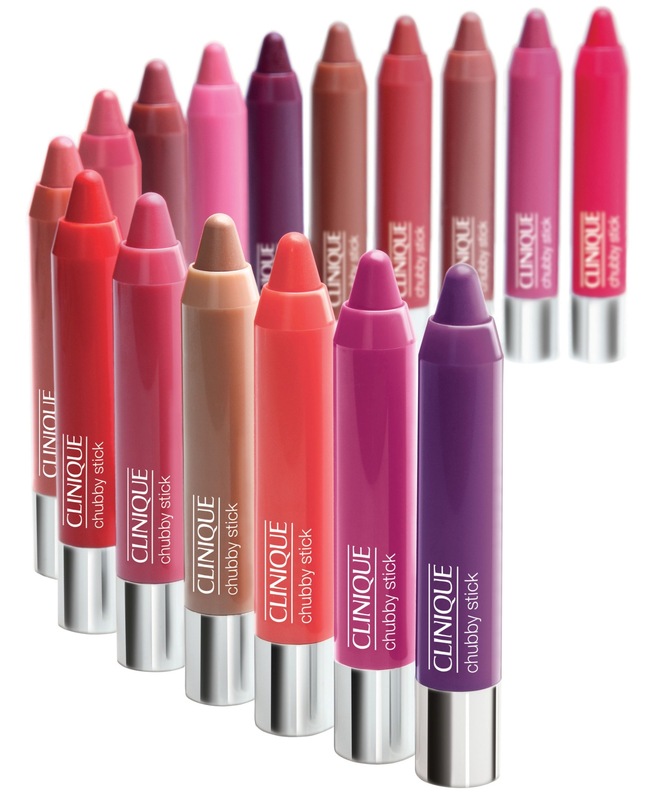 They have an adorable playful vibe that was exactly the shot in the arm that Clinique’s cosmetics division needed (later continued with their delish Lip and Lid Smoothies… and soon Chubby Stick eye shadows, gaaaa!). Fat chunky crayons of sheer but buildable natural colour, they’re ultra-moisturising, extremely convenient (the unthreatening slick of colour means you can get away with applying these sans mirror) and a ton more fun than my usual tin of Vaseline! The first set of four shades (which I naturally bought all of) were mostly pinks and beiges, the second mostly browns… but now there’s a whole new eight shades to play with, and there’s something for everyone. As always, they come with cute fruity juicy names, which are dying to have some ice-cream flavour tie-ins – and I got to try three of my instant faves! Two Ton Tomato (above) is an orange-leaning bright red. It’s one of those really easy comfy reds that aren’t too intimidating and which you can incorporate easily into your normal look. 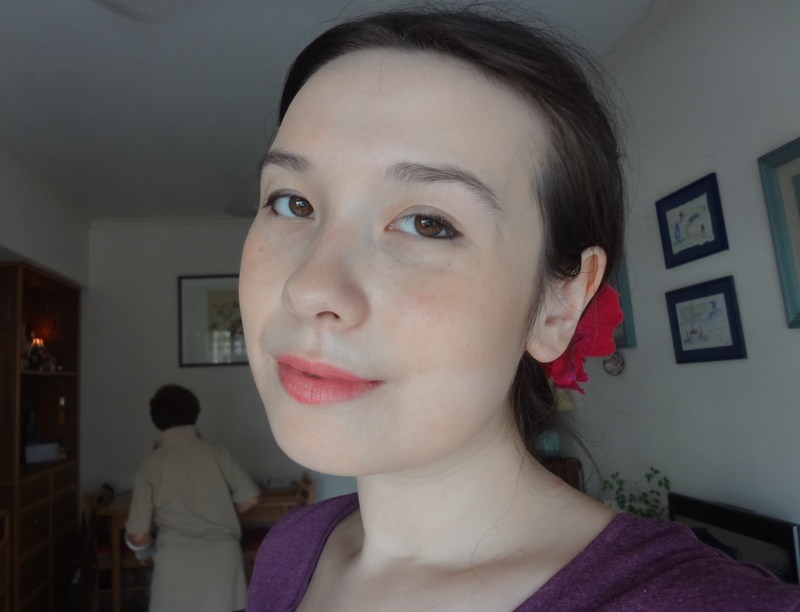 It actually ends up leaning a little more pink on my lips; one of the great things about Chubby Sticks is how they interact with your own lip colour, meaning you rarely get a total complexion clash. I love how Two Ton Tomato really brightens up my whole face – it’s just a cheerful wash of red that you can build up to a nice chunk of colour! Love it. Mighty Mimosa (above) is the sheerest of the three, a soft pretty light pink with a hint of shimmer. For me, this is very much a ‘my lips but better’ shade (the paler side of better rather than darker side – which is Whole Lotta Honey in case you’re interested!). It gives a lovely soft romantic look, although it does require quite a few hefty swipes to build up any noticeable colour. I can see myself sporting Mighty Mimosa on a regular day-to-day basis and it complements an average neutral look well. Pudgy Peony (above) wins hands down for my favourite name – argh, I just want to eat it! I pretty much want to eat the colour too; it’s a scrummy raspberry sorbet, a faded fuchsia and a very wearable cerise that’s the most pigmented of the three. Again, I can see myself reaching for this regularly to inject an easy breezy shot of colour to my look. I own a lot of similarly coloured lipsticks so this is a nice low-maintenance way to work the shade. The Chubby Sticks’ super soft lip balm formula is just the same and great as ever, loaded with jojoba oil and mango and shea butters for that extra moisturising effect; they’re totally non-drying so feel extremely comfy on. Since they are quite sheer, the colour isn’t going to last forever – a couple of hours on average, with Pudgy Peony faring the best of the three, with a fuchsia tint even making it through dinner! But given how easy these are to re-apply (seriously… as easy as any of the other 50 lip balms I carry in my handbag on a daily basis), it’s no hardship to keep swiping these on for a sweet pop of colour and slick of moisture throughout your day. Overall, the new Chubby Sticks are just as fab as I’d been hoping – lovely bursts of subtle colour that work beautifully with my normal day-to-day look. What’s more, they’re not all just variations on ‘my lips but better’ but also deliver that extra bit of oomph… I only wish they’d come out even sooner as I’d have been wearing these babies all summer long! 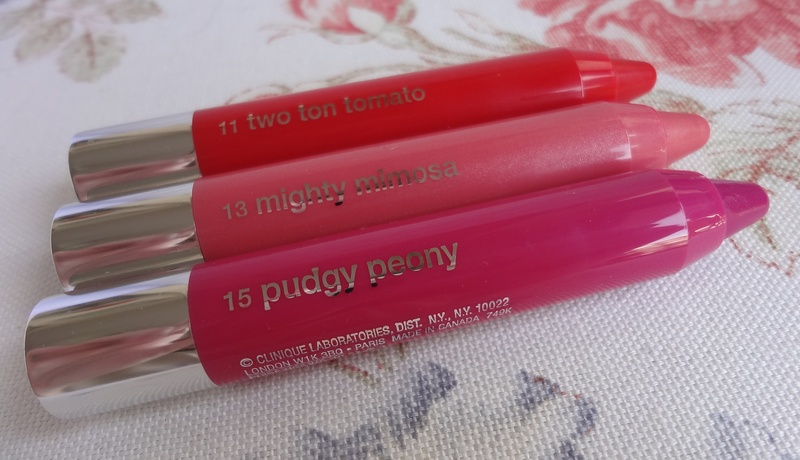 Clinique Chubby Sticks in Two Ton Tomato, Mighty Mimosa and Pudgy Peony, $160; see all Clinique stores and counters in Hong Kong here. Note: these products were provided to me for review. 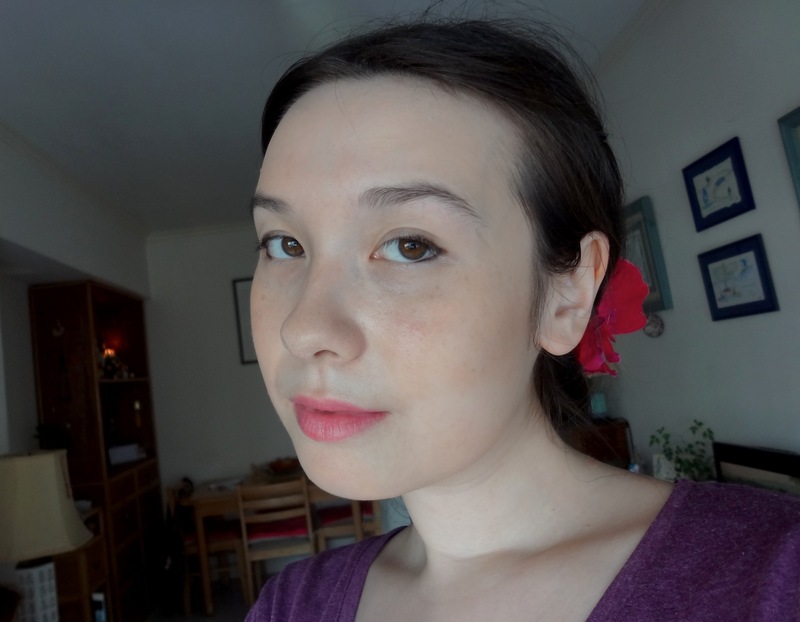 This entry was posted in Beauty and tagged Beauty, best lip balms, Clinique, Clinique Chubby Sticks, cosmetics, make-up, Mighty Mimosa, my lips but better, photos, Pudgy Peony, review, swatch, tinted lip balms, Two Ton Tomato. Bookmark the permalink. I love that auntie is in the background. O hai. I think all 3 tried shades are absolutely gorgeous! I’d prefer the background without the auntie! I’ve been using Tarte’s chubby sticks and thought it could get no better. I was wrong! These are awesome! Buying more colors next time I’m at Sephora! What cute juicy colours you chose!! LOVE! Hey Chris – glad this helped! I love Chubby Sticks and can’t get enough of them!